Police will step up patrols in Jewish areas of British cities amid fears of copycat terror attacks following last week’s massacre in Paris. Britain’s chief counter-terrorism officer, Mark Rowley, said there is a “heightened concern” for the Jewish community in the UK, citing an increase in anti-Semitic abuse and attacks on Jews abroad. The Metropolitan Police reviewed the terror threat following attacks in Paris last week, where an Islamist gunman took hostages at a kosher supermarket. Three hostages and the gunman were killed during the siege. “The global picture of terrorist activity does give us heightened concern about the risk to the Jewish community in the UK,” Rowley said. “We are seeing continuing anti-Semitic rhetoric from extremists and attacks on this community in France and elsewhere. “In addition to our existing security measures, we are in dialogue with Jewish community leaders about further actions that we will be taking, including more patrols in key areas,” he added. Moves to protect Jewish communities in Britain come hours after Belgian police thwarted an “imminent” attack. Counter-terrorism officers in Belgium carried out raids across the country late Thursday night. Fifteen suspected jihadists were arrested and two were killed in a shootout with police in eastern Belgium. The Met’s decision also follows news that anti-Semitic graffiti was sprayed over posters promoting Holocaust Memorial Day in the London borough of Newham. 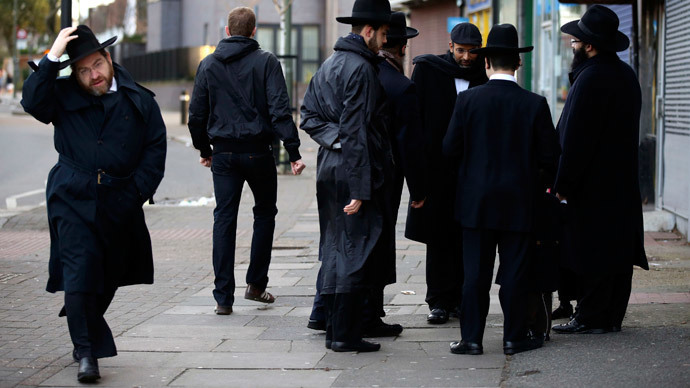 Wednesday’s publication of an opinion poll, which suggested 45 percent of Britons hold anti-Semitic views, is also causing concern for the Jewish community. The YouGov poll, commissioned by Campaign Against Anti-Semitism (CAA), asked 3,411 UK adults about their attitudes toward the Jewish community in Britain. They found that one in eight people polled believe Jews used the Holocaust to gain sympathy. One in four believe Jewish people “chase money more than others,” while one in six people think Jews have too much power in the media are believe they are superior to others. CAA said Britain was at a “tipping point” with respect to anti-Semitism. The Community Security Trust (CST), a Jewish charity, told the BBC it had received “an unprecedented number of calls” in recent days. British police will also be offering protection to Muslim communities, Rowley said. “We remain alert to the vulnerabilities of other communities. Where we do have particular concerns, we make these known to those involved. “For example, we continue to be alive to those who want to exploit the current situation and create fear in our Muslim communities, with whom we work closely, to offer our protection and reassurance,” he added. Scotland Yard will also be taking measures to ensure the protection of police offers, given the “deliberate targeting” of police across Europe and the world. “Chief constables across the country are reviewing how to strengthen the protection of their officers from such attacks,” Rowley said.